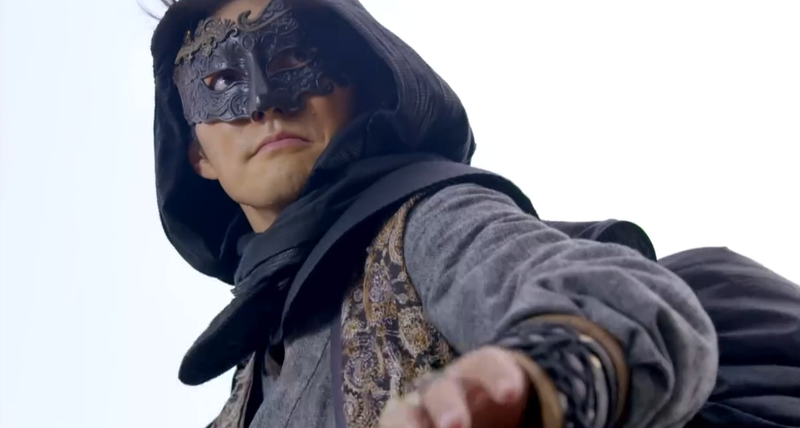 Re-watching Nicky Wu's Xiao Shi Yi Lang was a mistake because now that New Xiao Shi Yi Lang 新萧十一郎 is out, it falls flat in comparison, which is a pity considering I was most interested in this one out of the many dramas airing this February. Episode 1 opens with a scene where Feng Si Niang, Xiao Shi Yi Lang's closest friend and partner-in-crime, aptly fends off her attackers that it's hard to tell who is bullying who. A one-armed swordsman swoops in to kill all the men in sight, apparently out of mercy because they would have fared worse in the hands of Si Niang. He also divulges that Xiao Shi Yi Lang (Kevin Yan Kuan) was the culprit responsible for his missing arm. 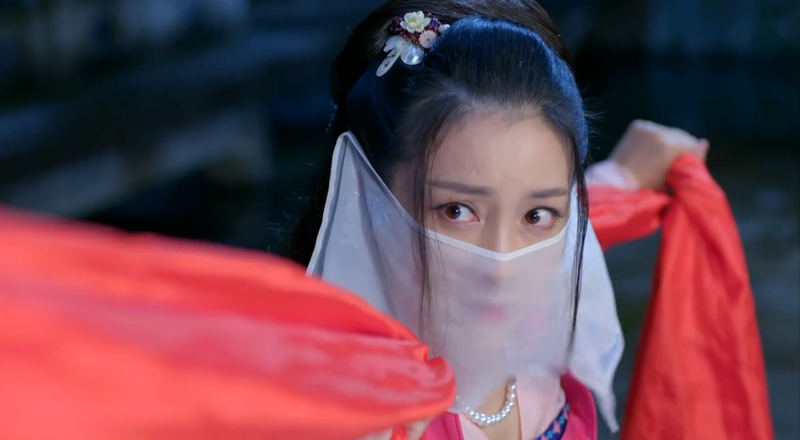 Cut to Xiao Shi Yi Lang in the midst of a robbery to steal a royal crown for Si Niang's 30th birthday. He succeeds rather effortlessly despite announcing his arrival beforehand and the two friends reunite afterwards for a a night of revelry and drinking. The following morning, Xiao Shi Yi Lang and Si Niang set their sights on the legendary Deer Carver Sabre that is guarded by the Shen Household. 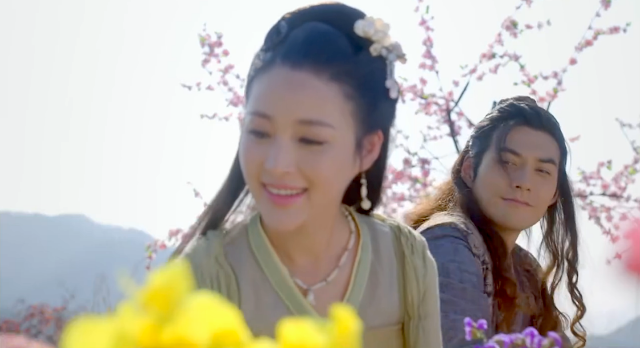 The stealthy pair make it all the way, only to have a run in with Shen Bijun (Gan Ting Ting) who is desperate to escape her engagement with Lian Chengbi. Consequently, the episode ends with a brawl on all fronts as the three are caught in the act. First impressions: New Xiao Shi Yi Lang promises a different twist that is a welcome change because I'd rather they leave the classic untouched to come up with something else altogether. The recent adaptation delivers in that respect showing a grander and darker Xiao Shi Yi Lang. The good don't seem that noble and the bad much worse, chock-full of throat slashing scenes that is miles apart from the wholesome 2002 version. There are a number of storyline changes as well, which leaves me more curious than anything else. That's about all the praises that I can sing because the rest on my list is just a whole lot of complaints. Xiao Shi Yi Lang looks considerably older than Lian Chengbi and it's odd to envision them as rivals given their disparate appearances. 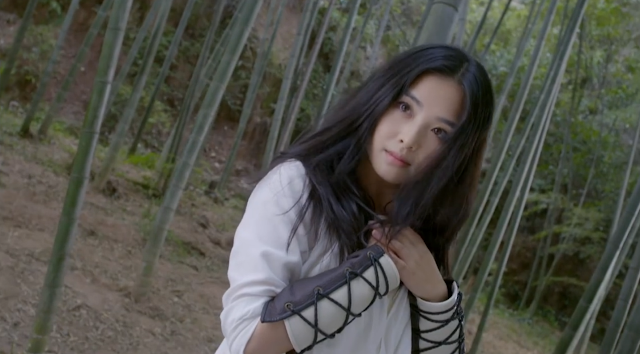 Gan TIng Ting as Shen Bijun is the most beautiful woman in the martial arts world with features so stunning that it's repeatedly acknowledged in the series. Even though Gan Ting Ting is pretty, it is still a bold claim to make and I find that she and the actress who plays Feng Si Niang bear such a close resemblance so to say who's prettier is highly debatable. Personally, my vote goes to Xiao Gong Zi played by Zhang Han Yun (Lan Ling Wang Fei). She is smart, cute, certainly diabolic but very intriguing and she is the drama's saving grace, if it ever needed one. 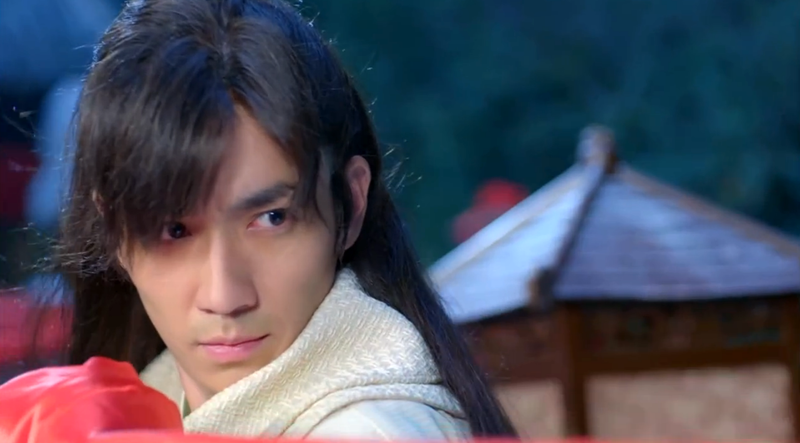 I was surprised that Shen Bijun can spar almost on par with Lian Chengbi at the end of episode 1. Unfortunately, her newfound skills might have been for convenience's sake since it effects a cooler action sequence. And as expected, Bijun relegates back to the perpetual damsel in distress in subsequent episodes. Behind Shen Bijun's prim and proper facade is someone condescending, superficial and stuck-up, always turning her nose up at Xiao only to need his saving later. I wonder why they bothered to give her martial arts skills. Is it to stay faithful to the novel? Because Bijun's strength is in her passion and quiet resolve, and clearly not her ability to defend herself so a fighting Bijun that is kidnapped time and again makes her not the brightest bulb on the porch. Throwing in a couple shot for good measure because I made it to the episode where the leads start warming up to each other. Too bad I'm on the verge of giving up at this point. For synopsis, cast and ratings, see my list of popular cdramas in 2016.